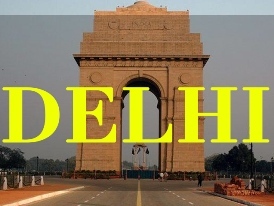 New Delhi, April 6 : New Delhi has emerged as the most hospitable Indian city, followed closely by Jaipur, Kochi and Mumbai, according to an Airbnb study. The annual Airbnb Hospitality Index revealed that the national capital saw the highest rate of success in terms of extending hospitality, with close to 80 per cent of reviewed trips in Delhi-National Capital Region (NCR) receiving a 5-star rating. According to the index findings, Maharashtra, Goa, Delhi, Karnataka and Kerala were the top five states in terms of hospitality. “Maharashtra was the most hospitable state with the highest absolute number of 5-star rated trips of the top five states,” it said. Rajasthan, Himachal Pradesh and Tamil Nadu closely followed behind the top five states in the hospitality index. “The people to people connection enabled by technology is what makes these destinations a treasure trove for experience seeking travellers who return home with amazing stories and fulfilling experiences on Airbnb,” said Amanpreet Bajaj, Country Manager, Airbnb-India.